The Basmanny district court ruled against Yevgeny Dzhugashvili, who demanded 10 million roubles in damages from the liberal Novaya Gazeta newspaper. Yevgeny Dzhugashviliґs ire was roused by an article published in Novaya Gazetaґs special "Truth about the GULAG" edition published on 22 April. The article, titled "Beria Pronounced Guilty," was written by Anatoly Yablokov, a historian. Mr. Dzhugashvili felt that the article was harmful to his grandfatherґs reputation and went to court. "We expected this outcome," admitted Yuri Mukhin, a lawyer for the plaintiff. He and his client may challenge the court ruling. The ruling provoked mixed feelings among the audience, some applauding and some shouting "Shame". Those shouting were mostly elderly people who came to support Mr. Dzhugashvili. "It is not me but those who watched the hearing who must be happy," said Alexei Benetsky, representing one of the defendants. He noted that the Basmanny court, which has a bad reputation for some of its other rulings, ruled fairly this time, and "justice has been done." An amicable agreement between the parties had been ruled out by court at an earlier stage in the proceedings. During the previous hearings, the plaintiffs cited various historic evidence proving, in their eyes, the untruths disseminated in the article. Much of the first substantive hearing was focused on the Molotov-Ribbentrop Pact. 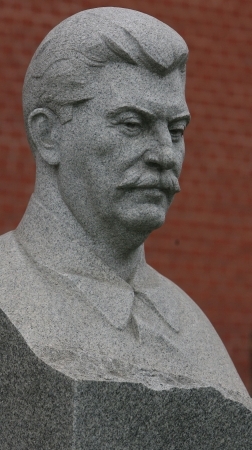 In their view, Stalin was doing his best to protect Poland against Nazi aggression through diplomacy. "And he would have done so had the Poles themselves not surrendered their country to the Germans," Mukhin argued. Genri Reznik, a defense lawyer, told reporters during a short interval that all the materials cited in the disputed article had been published long ago and were available in the public domain, including in state archives. In 1962, a state commission "listed all of Stalinґs crimes against the country, the military, and the Russian people," he explained, adding that the victims were later rehabilitated.